2019 prices guidelines for Hotels in Ireland. You are your images - and since we are very much an image-led team, who believe strongly in the saying that 'a picture is worth more than a thousand words' - then we will naturally try very hard to tell the story that you would like your guests to read. So how much will it cost ? When quoting a fee, the price we quote is based on what all you need us to provide you with afterward. 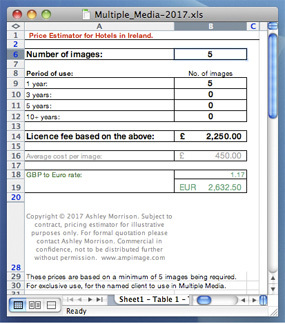 So assuming that is for some images to use, then the two main things that would therefore determine what the fee would be, are (1) the number of images that you would want to use and (2) the amount you would want to use those images (the Media use, the Period of use and the Territory of use being the 3 main things here that we would take into account). Which means we would simply be asking you to pay for the Rights to use our work after the images had been created, ie. for us to sign one of these Licence to use documents. So as a result of that being the deal and/or what we would be asking you to pay us for afterward, then naturally our goal would be to try and produce some images that you would want to use a lot. A win-win situation if we succeed. So how much will it cost you if we successfully achieve our goal? ..to help you pre-determine what the fee would be, for us to produce and then provide you with the number of images that you would require to meet your advertising & marketing needs, over the number of years that you would like to use those images for. So as you can see, you can either pay a one-off fee for Unlimited years use of the images in All media or you can spread the cost over the years that you would like to use our images for. *This package price is based on a minimum of 5 images being produced at one time. Multiple Media use includes Ambient, Billboards, Brochures, Direct Mail, Marketing aids; Magazine ads, Packaging, Newspaper ads, Point of sale, Posters, Press, Television, Worldwide web & promotional emails. 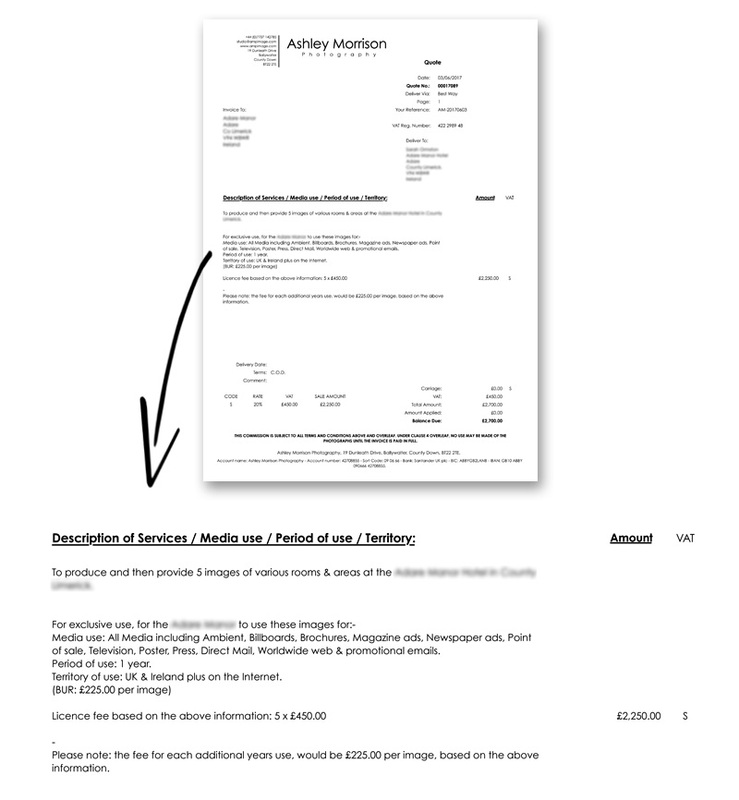 Our pricing structure is based on the Association of Photographer's B.U.R. system - which is very much geared around going the extra mile... just for you. .. or even for something in between, as the fee is based on the information above.